First it started with Tyson Chandler who became a malcontent that enjoyed nothing more than to throw his coach Mike Woodson under the bus. And doing so after being a complete no-show in the playoffs against Roy Hibbert the previous season and injury prone the next. Chandler was a $14.6 million dollar player who wanted out and Phil Jackson had no intent of re-signing. Was Jose Calderon, Shane Larkin and Cleanthony Early a great return? Not overly impressive, but Phil wanted to change the culture. Bring in character guys and hope to land young talent and that’s what he aimed for with Calderon and Early and we’ll see how Cleanthony turns out, but the biggest part of that trade was getting rid of Raymond Felton. The man had a gun charge pending against him and a player option everyone in the world knew he was going to pickup. He was a player no one wanted any part of. How Jackson was able to sucker Dallas into taking him on was stunning, and for that alone the deal was acceptable. 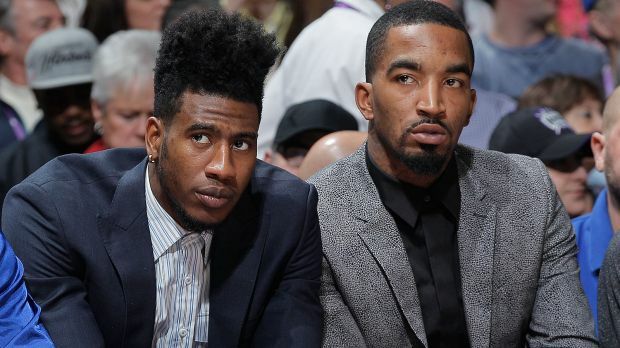 The other deal that ended up somehow being highly criticized was Iman Shumpert and J.R. Smith to the Cleveland Cavaliers for a future second-round pick. The thing I hate most about the New York media and Knicks fans in general is that they’re all walking contradictions. When the Knicks signed J.R. Smith all the talk was that New York bid against themselves and didn’t need to give him three years. Smith’s $6.4 million on the books next season is a killer. Can’t get rid of that contract. Who would want him? He’s immature. Doesn’t focus. All he wants to do is party. That was the never-ending talk about J.R. Smith as a Knick. Then suddenly the narrative changed because as I said, they’re all walking contradictions. J.R. was good for about 15 minutes in the playoffs for Cleveland and then was a complete disaster in the NBA Finals. Showing his true worthless self yet again. And as for Shumpert, he was another player Phil had no intention of re-signing and rightfully so. Shumpert’s inconsistencies made him nothing better than a 20-25 minute per night role player. Not worth the time or the money. Then Phil was somehow able to deal 38-year old point guard Pablo Prigioni to the Houston Rockets for Alexey Shved and two future second round picks. Shved is of course no all-star by any means but the simple fact he was able to obtain a 26-year old guard with more talent that he’d be able to at least evaluate for a few months was worth the trade in itself. First and foremost, what was Phil supposed to say? They re-signed Carmelo Anthony and traded their center for a veteran point guard. The team came off a 37-win season and in a weak Eastern Conference I’m sure Phil expected to get in as a seven or eight seed. Instead, Jose Calderon got hurt early, Shumpert injured his shoulder and J.R. Smith was absolutely horrific. Add a nagging knee injury for Carmelo Anthony along with the disastrous start and rather than trying to salvage anything, Phil just blew it up and as a result, this season turned out to be a blessing in disguise. Any other scenario that was originally expected had the Knicks squeezing in the first round, probably getting swept and ending up with the 15th or 16th pick in the NBA Draft. Would you have preferred that to be how 2014-15 played out? Would Phil have done a great job then? 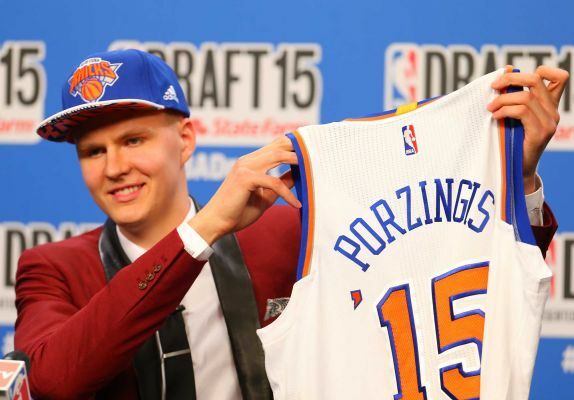 My favorite part about the Kristaps Porzingis pick by the Knicks is that it shows they’re really about the rebuild and setting this team up for the long-term, not just trying to get a player that can help them now in order to please their moronic fans. One thing these fans cannot deny is everything that has been said about this kid. And then you have the best NBA reporter in the business, Adrian Wojnarowski of Yahoo Sports, reveal what he has been told by general managers around the league. Knicks fans can say they wanted Justise Winslow or Emmanuel Mudiay or Willie Cauley-Stein or maybe trade back for Frank Kaminsky and another asset. Those all could have been good options, particularly the first three players mentioned, but if Phil Jackson truly sees some Pau Gasol potential in Porzingis and a player with clearly the most upside, who am I to dispute a man that’s won eleven rings as a head coach? The Knicks shot for the moon and if they end up with Neil Armstrong ten years from now, those same crying fans will be wearing his jersey talking about how he’s better than Patrick Ewing. Because again, they’re idiots. Now we get to the absolute steal of the night. 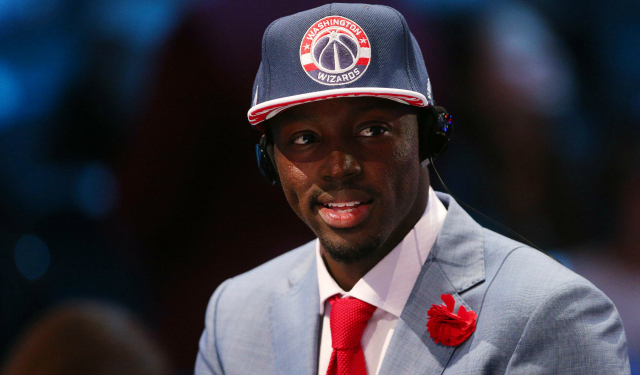 How the Knicks were able to move Tim Hardaway Jr. to the Atlanta Hawks for the 19th pick and get Jerian Grant is absolutely stunning to me. I don’t know if there was a bigger stiff in the entire league this past year than THJ. On a team with easily the worst talent in the league he struggled to even score, let alone actually show some improvement and worth going into the future. Not only is he probably the worst defensive player in the league but his shooting has proved to not even be worth the eyesore it is to watch him play. The Knicks drafted Hardaway Jr with the 24th pick in a weak draft and somehow was able to move him for the 19th pick in a strong draft two years later after virtually no improvement. I’m a very big fan of Grant as a player in the NBA. He has bloodlines to not only the league but to the triangle offense. His uncle, Horace, of course played for Phil Jackson and won championships in Chicago playing in that offense. Something I’m sure Jerian will be very familiar with before he heads into training camp with New York. On top of that, he’s an exceptional athlete who has the balls to take and make the big shot. A great trait to have not only in the league, but especially in a city like New York. And last but not least, Phil Jackson with another shrewd move on the night. He trades two future second-round picks to Philadelphia for the rights to Guillermo Hernangomez of Spain. A draft-and-stash guy with a lot of skill in the low post and a nice feel around the basket. 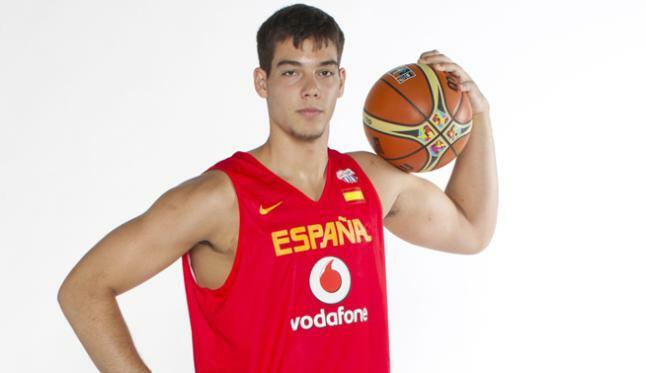 Resembling somewhat of a young Marc Gasol, this ended up being a really nice value pick for the Knicks. The other plus is Hernangomez was a teammate of Porzingis in Spain, something I’m sure can’t hurt when he does join the team. 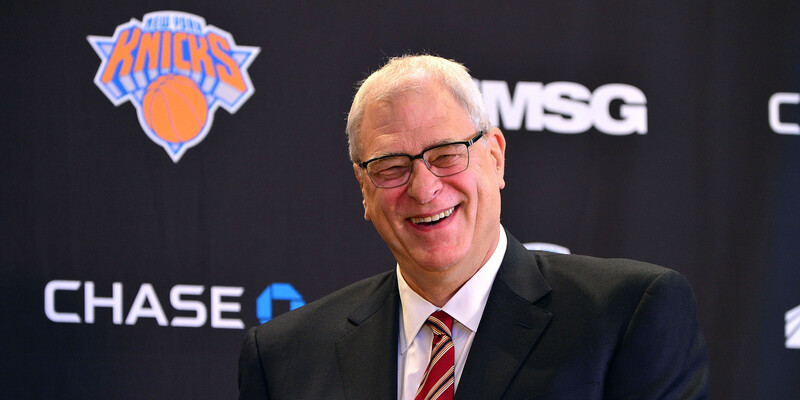 When Phil Jackson took over this New York Knicks team it was never about the 2014-15 season. With the contracts of Tyson Chandler, Amar’e Stoudemire and Andrea Bargnani coming off the books, this team rebuild was always about the cap space that opened up in the summer of 2015 and the flexibility they hope to have beyond that. For Phil Jackson, the real evaluation began Thursday night at the Barclays Center. And as far as I’m concerned, he hit it out of the park.